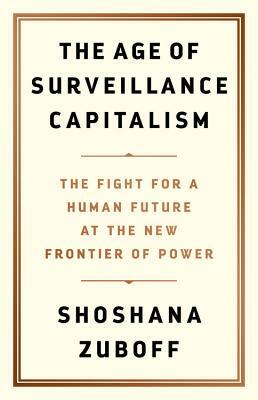 The challenges to humanity posed by the digital future, the first detailed examination of the unprecedented form of power called "surveillance capitalism," and the quest by powerful corporations to predict and control our behavior. Zuboff vividly brings to life the consequences as surveillance capitalism advances from Silicon Valley into every economic sector. Vast wealth and power are accumulated in ominous new "behavioral futures markets," where predictions about our behavior are bought and sold, and the production of goods and services is subordinated to a new "means of behavioral modification." The threat has shifted from a totalitarian Big Brother state to a ubiquitous digital architecture: a "Big Other" operating in the interests of surveillance capital. Here is the crucible of an unprecedented form of power marked by extreme concentrations of knowledge and free from democratic oversight. Zuboff's comprehensive and moving analysis lays bare the threats to twenty-first century society: a controlled "hive" of total connection that seduces with promises of total certainty for maximum profit--at the expense of democracy, freedom, and our human future. With little resistance from law or society, surveillance capitalism is on the verge of dominating the social order and shaping the digital future--if we let it.